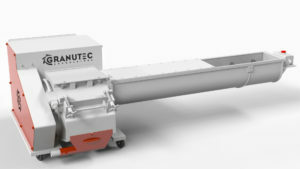 The Granutec Auger-Matic 810 is a tangential feed granulator with high performance capabilities. This line of grinders has high performance standards for automatic recovery of sprues and runners while maintaining ease of use. Double scissor cutting action with 3 rotor knives and 2 bed knives made of high quality D-2 hi-carbon/hi-chrome steel makes for high quality, smooth grinding. 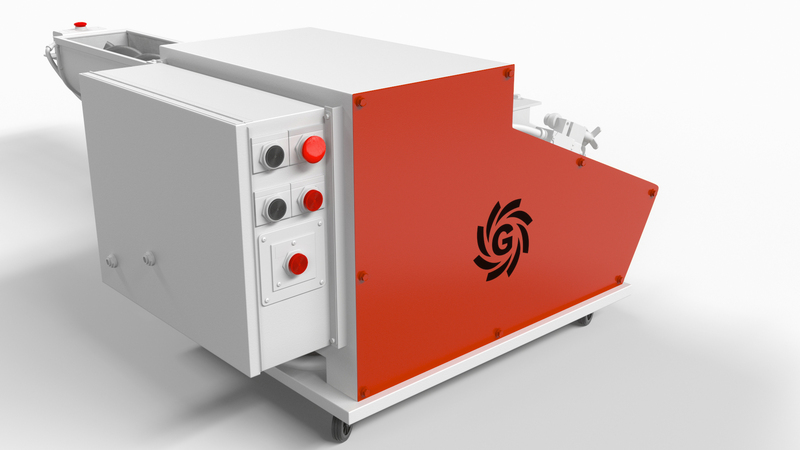 The feed cutting chamber and auger entry enable continuous granulation without jamming. This machine comes equipped with a top-hinged cover and angled screen cradle to be opened for easy access without any under-the-press removal. The 810AM features mechanisms that are mechanically interlocked to prevent accidents, and also meet OSHA electrical/safety standards. 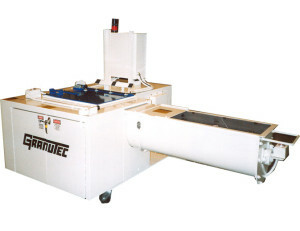 Its compact design allows convenient placement under molding machines. 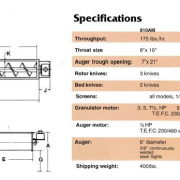 And at 85 dbA, noise levels are lower than most other granulators, even without a sound enclosure. 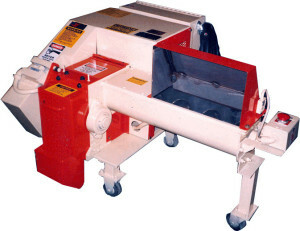 The 810AM is the smallest granulator in the Auger-Matic series. For larger throat sizes or throughput, take a look at the 810HD and 1012AM models. Questions or comments? Contact a Granutec representative today for more information!